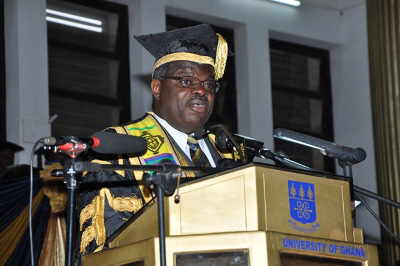 Ghana’s insatiable quest for importing almost everything from China now knows no bound, such that academic gowns for the University of Ghana, Legon, are sourced from China. Investigations by The Finder indicates that the gowns used by undergraduate students of the university are China-made. Director of Public Affairs at the University of Ghana, Mrs Stella Amoah, who spoke to The Finder when contacted on the issue, would initially not ac­cept that the gowns were made in China until she was told the labels on the gowns indicated so. Mrs Amoah then proceeded to explain that initially the gowns were produced in Ghana but due to some challenges with collecting them back after renting them out to students, the university decided to “outsource them to a company to handle it. “Our gowns in the past, were done here; we have made them in Ghana; now we outsource it with a company, and Academic Affairs would have those details”, she continued. When Mrs Amoah was reminded that she had earlier stated that the procurement of the gowns had been outsourced to a company, she explained that her use of out­sourcing was in connection with the Ghana Institute of Journalism(GIJ) hiring the gowns recently for their graduation ceremony. Not satisfied with this answer, the paper tried a third luck on the question on the outsourcing bit of the story, but that seem to have put a little stress on Mrs Amoah’s pa­tience. “Please, I tell you, forget about the outsourcing; anything we do in the University of Ghana, it goes through the usual processes. If these gowns were delivered to the University of Ghana, it means like all other things, if it is in large quantities, it means it will go through our usual procurement and tender processes. So these gowns would be in the same category,” she explained. Ghana’s Parliament recently courted public anger and backlash when it emerged that the lawmak­ers imported furniture worth GH₵60 million from China for their newly furnished chamber.